Okay, after a run of three low-utility reviews of whiskies from Kilchoman, Glenlivet and Glen Scotia released between 5 and 13 years ago, let’s get all timely with a review of a whisky that is not at all hard to find in the US: the recently arrived Balvenie “Peat Week”. I’ve previously reviewed a 17 yo Balvenie matured in a cask that had previously held peated whisky distilled at Balvnie. (I was not impressed). This one, as I’m sure you know, is an actual peated whisky made at Balvenie. Apparently, since 2002 (or even earlier) Balvenie has been making peated malt one week in the year and this is the first regular release from those runs, apparently limited to 3000 bottles worldwide—how many of those are in the US, I don’t know. 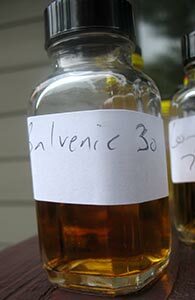 This release (from 2010, I believe) was presumably the result of a bunch of people at Balvenie getting drunk. This was not made, in the usual way, from peated malt but by finishing 17 yo Balvenie briefly in casks that had previously held heavily peated whisky. Balvenie had done this before with their Islay Cask release (which I have not had). But this Peated Cask is different: unlike with the Islay Cask, the peated whisky that gave these casks their peated flavour had itself apparently been distilled as an experiment at Balvenie some years prior—as to what became of that experiment I don’t know, but maybe someone will be along to inform us. 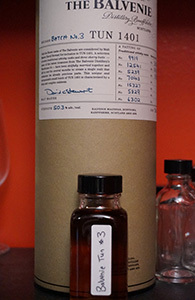 But it gets more complicated still: the Whisky Exchange blog informs us (shout out to Tim F!) that not all of the whisky that went into this release was itself finished in the casks that had previously held peated whisky; some of it had apparently been finished in new oak casks. The bottle from which I poured my sample. The Balvenie Single Barrel 15 used to be entirely a single bourbon cask series and as such was rather beloved of whisky geeks (give us the opportunity to explore the vagaries of cask variation and we will run with it). I have not tasted as many of the bourbon cask releases as some but all of the ones I’ve tasted ranged from good to very, very good. They were also easily available and quite reasonably priced: in Minnesota it was not difficult to find them for less than $60. As such, I gnashed my teeth with the rest when word came down that the series was going to be scrapped in favour of a new 12 yo single barrel series. But just as I was considering stocking up a rumour also emerged that the 15 yo single barrel was not in fact going away. I wish I hadn’t listened to this rumour because first the prices of existing stock of the 15 yo bourbon casks went up and then the series did indeed get discontinued. Or rather it got reconfigured as a single sherry cask series—of course at a fairly higher price. 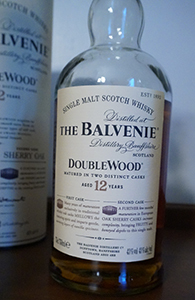 The venerable Balvenie Double Wood has been the gateway whisky for legions of single malt drinkers. Along with the Macallan 12 it was mine and I still recommend it to people looking to get into single malt whisky. It’s been a long time, however, since I’ve last had it. Partly this is probably on account of my subconsciously wanting to separate myself from “beginner” status; and partly it’s because when you get locked into the geek path of trying newer and more esoteric whiskies (and are trying to restrict the number of drinks you have in a day—no more than 1-2 in my case) you find yourself not coming back to the ones you already know quite well. And then it ends up being years since you’ve had it. 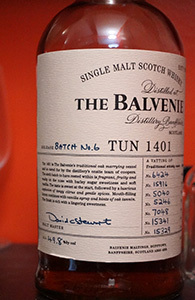 Hot on the heels of my review of the Balvenie Tun 1401, Batch 6, here is my review of Batch 3. This has one more cask in the vatting than Batch 6 does, and one more sherry cask. This was the first of the Tun 1401s to be released in the US (it was a US exclusive) and a number of people think it is among the best, if not the best of the series so far. Even people who don’t usually get carried away love it. As a result, I’m expecting it to be very good. Will reality match the expectation and talk? Let’s see.